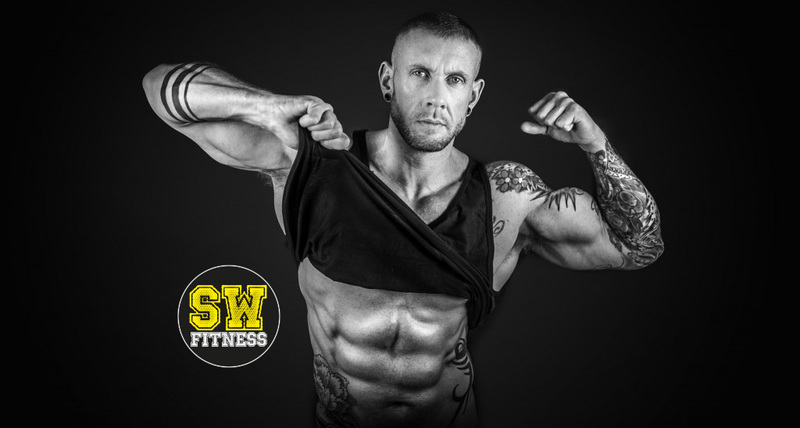 Personal trainer Stephen White is the man behind SW Fitness. This month he talks about supplements, their benefits and how can they enhance your training. While we acquire much of our nutrients and micro-nutrients from a healthy balanced diet, hammering the gym to build that chest or mould chiselled abs can sometimes take its toll and we need a bit of assistance. By adding a few items in to our daily routine, we can give our bodies a boost and optimise our results. Here are a few things the SW Fitness team do to keep us tip-top. The aim of a ‘pre-workout’ is to get you pumped up and ready to go and hit the gym hard, even if you’re feeling tired and unmotivated. There are many different brands offering a range of benefits, but they mostly have three main ingredients to give you an edge: caffeine, the same stuff in tea or coffee; creatine, one of the body’s natural energy sources; and beta-alanine, which aids muscular endurance. Some pre-workouts also contains nitric oxide, which help dilate your blood vessels, allowing blood and nutrients to flow you your muscles. I recommend you take it easy when starting to use pre-workouts as it can be a little reactive, so always read the label. I use BSN N.O.-Xplode. BCAAs are an absolute must. There are around 20 different types of BCAAs that are required by the body to repair and allow it to function properly. Your body can produce about 10 of these but the remainder must be consumed from foods or supplements. The three main amino acids in BCAAs are Leucine, Isoleucine and Valine. BCAAs should be consumed throughout a workout to stop you getting tired and help your body get more from a workout. Now here’s the technical bit: BCAAs also stops your body from catabolising your muscles and carries on the protein synthesis, all while burning your fat stores instead of your hard-earned muscles. I love Optimum Nutrition Amino Energy BCAAs. You’ll hear a lot of advice on eating protein to support muscle growth. The more protein we eat the more likely the chance of promoting muscle repair and growth (as long as you train hard), which is technically known as protein synthesis. There are two main types of protein powders, explained below. Casein protein is also derived from milk but this type of protein is much slower absorbing into the body. This means casein should ideally to be consumed in the evening just before you get some shuteye. As it’s slow absorbing, the seven or so hours that you aren’t eating food (while you’re sleeping) this protein is keeps you full and works its way around your body, repairing your muscles. Again, I use Optimum Nutrition Gold Standard Casein. It’s a daily challenge to consume the appropriate level of proteins, carbs and fats – the three ‘macros’. Your ‘macro values’, or the amount of each group you need to eat, will vary depending on your objectives. Whether it’s stripping fat or getting huge, it won’t happen unless we eat the right stuff at the right time, in the right quantities. I won’t deny – protein from eggs, fish, meat and other natural sources are the best forms of protein you can find. But when you’re working hard and find meal preparation a struggle, a high protein snack can be just as good. Remember it’s always better to eat something than nothing, so we stop our body from ‘starving’, which results in catabolism. My recommendation is the Grenade Carb Killa High Protein Bar – l love the Caramel Chaos! Getting all your vitamins and minerals from the food you consume can be tricky, so this is where multivitamin supplementation comes in. If you lack certain vitamins and minerals, the efficiency and performance of your body is compromised – and no one wants this when they are pushing themselves hard in the gym! Therefore, as well as a well-balanced diet, including fruits and vegetables, I recommend taking a good quality multivitamin every day. I also strongly recommend Glucosamine Sulphate, which helps keep your joints healthy and working properly when you’re putting your skeletal system under such strain. I recommend Vitabiotics Wellman Original. both in central London and online. SWFitness is a London-based group of personal trainers brought together by founder Stephen White and is predominantly based at Jubilee Hall Gym in Covent Garden, WC2E 8BE.